Apna Facebook account kin kin devices me log in hain kaise pata kare? Or Apne Facebook account Ko others devices se log out kaise kare? 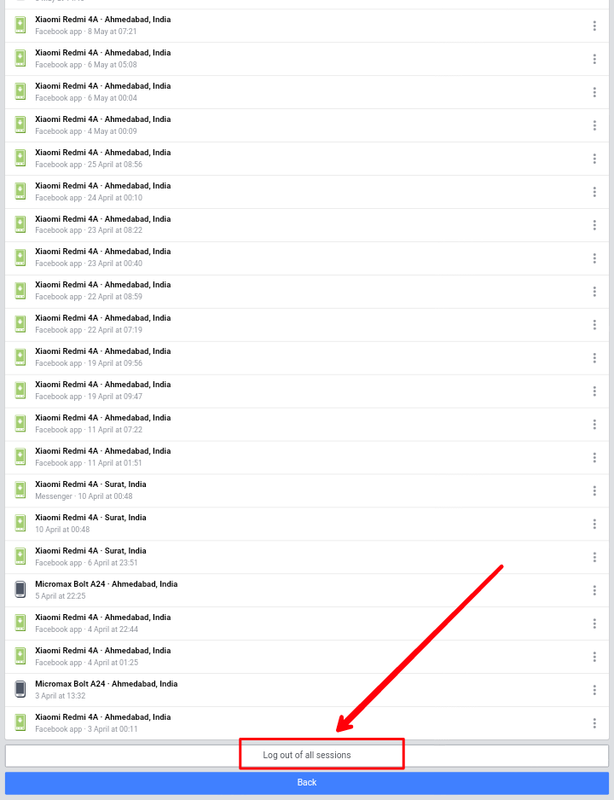 Facebook account kin kin devices me log in hain kaise pata kare? Or other devices se log out kaise kare? 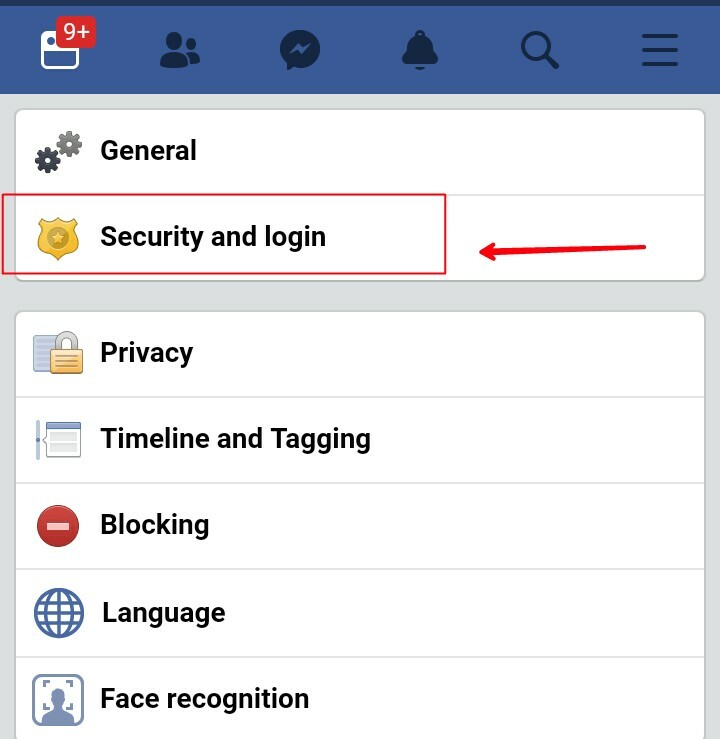 Dosto facebook account hack hone ke kai kaarna hain jaise ki apna Facebook account se others fake sites par open hona Facebook ka others devices me open hona aysa tab hota hai jab humse koi bhul hoti hain me aapko samjata hu jab hum kisi ke bhi mobile ya fir apne old mobile me apna Facebook account open karte hain or hum log out karna bhul jaate hain or aap Apne old mobile ko sell bhi kardete hain but humara facebook account us old mobile me open ho chuka hain or aap log out karna bhul gaye hain to ayse me aap kya karoge koi bhi hamare facebook account ka galat kaam ke liye istemal karta hain or usme problem hume hoti hain. To ayse me aap kya karoge? Yeah post me isliye likh raha hu ki agar aapse bhi yeah galati hogayi ho or aapne bhi anjane me kisi ke mobile me Apne Facebook account open kiya ho or log out karna bhul Gaye hain to is galati ko sudhar ne ke liye or apne facebook account ka galat istemal hone se pehle aap usko log out kaise kare. Iske baare me yeah post me aaj aapke liye share karne jaa raha hu to dosto is post ko dhyan se padhe or sikhe humare saath. Me aapko is post me puri jaankari hindi me dene wala hu . • read Olso:Fake number se call kaise kare? • GMail account ko safe kaise rakhe and security increase kaise kare? 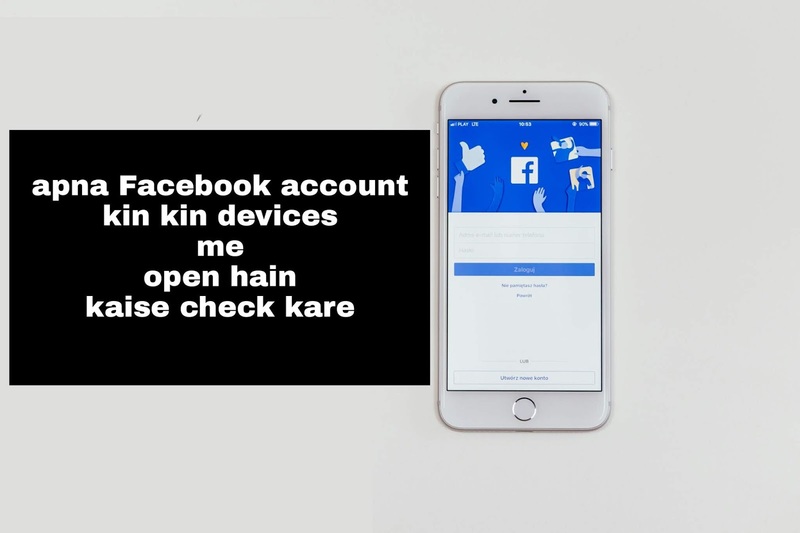 Facebook account kin kin devices me log in hain kaise check kare? Or apne facebook account ko others devices se kaise log out kare? • Sabse pehle aapko www.facebook.com par visit karna hain uske Baad apne email address,mobile number or password se log in kare. 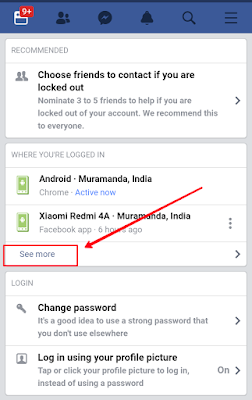 Log in karne ke baad or apna facebook account compelety open hone ke Baad. 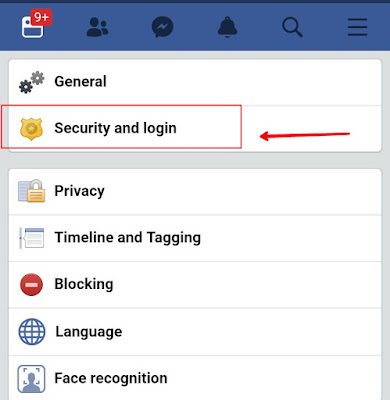 • security and log in par jana hain security and log in par jaaye. 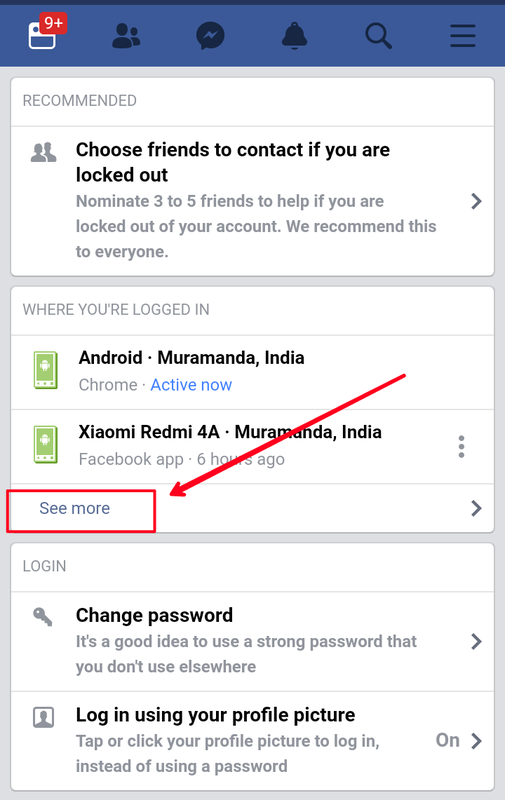 uske Baad next page par ek option hoga where you're logged in name ka waha niche see more par click kare . 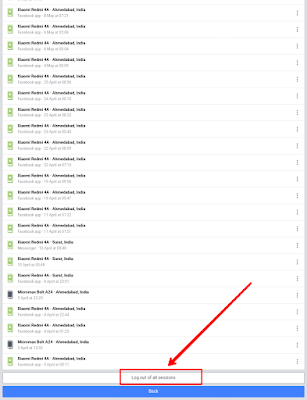 See more par click karne ke Baad aap next page par dekh sakte hain ki aapka Facebook account kin kin devices me log in hain . Aap chahe to waha se log out bhi kar sakte hain Apne Facebook account Ko. Uske Baad last next page par log out. Par click karde. congratulations friends aap Apne facebook account Ko others devices me log out karne me safal rahe. To dosto is post me maine ek achhi jaankari di hain Apne Facebook account Ko others devices me log out karne ki or check karne ki muje ummid hain ki yeah post aapko pasand aayi hogi Facebook users ke liye yeah post Bahut hi best hain. Or bhi aysi hi internet se related problems ka solution or intresting jaankari pane ke liye niche subscribe button par click karke subscribe jaroor kare. Saath saath 1 minute ka waqt Nikal kar is post Ko Apne friends ke saath social sites par share jaroor kare Internet se related ya fir is post se related koi bhi sawal ho to aap comments kare.